This series brings together classes to enliven you on dark winter mornings, warm you from the inside out and still your busy mind. In Ayurveda, winter is associated with Kapha, a tendency towards heaviness, an earthbound quality, so we have selected classes that build a steady heat, with a focus on breath to uplift both your body and mind and to banish that lethargic feeling. In Chinese Five-Elements, winter is associated with water, an element that is at once soft and strong. You will notice this reflected in the fluid quality of the practices included, helping our bodies to harmonise with this element. We have also included a morning Yin class. Although Yin, is often associated with a practice later in the day, this kidney-based class (the organ associated with winter and the storing of energy) is a supportive way to wake up and perfect for this season of maximum Yin, when we need this extra support. We have specially selected twenty-one classes, which will energise you by building heat slowly in a safe and nourishing way, leaving you feeling balanced and connected through the winter season. Our chosen practices offer a mix of Vinyasa, Hatha, Yin and QiGong / Yoga fusion with a breath-based focus to stoke your inner fire. Most classes run for 30 - 45 minutes, but we know that on busy mornings this might feel hard to fit in, so we have also included a couple of shorter classes. You can take the classes in any order, but commit to practicing at least one a day. You might like to have a blanket or an extra layer to keep the warmth in towards the end of your practice. Everyone. The classes in this series are all accessible and suitable for all levels, beginners and improvers. Please practice safely: you know your own bodies well, so if something doesn’t feel right, feel free to modify. Remember that your bodies, joints and muscles may still be cold on winter mornings as you begin your practice, so go gently as you warm-up. On particularly cold days, you might consider showering before your practice. Once your class is over, you can take your yoga off the mat and keep your fire stoked through the warmth and cheer of good company and time spent mindfully with family and friends. Nourish yourself with healthy, warming foods, try spiking your hot drinks with ginger, wrap up and indulge with hot baths and gentle lights. This will all help to warm your spirit, until the lengthening days of spring arrive again. Why not challenge a friend or loved one to join you? We want you to feel supported: Join our Movers' Facebook Group and let us know how you get on during the challenge and share your journey with us on social media using #MovementForModernLife + #MoveMoreLiveMore. Find your Flow with a delicious, all-levels, flow yoga sequence with careful attention to alignment and a delicious hip focus. Followed by a long breath-work session. For greater mental and physical clarity, these breathing practices will get you centred and ready to go! The perfect way to start your day if you're short on time and want to kickstart your day on the right foot. This short yoga class will get your body awake and fluid, clear the mind and open the heart. A sweet, gentle flow that builds smoothly. This practice will open your spine, shoulders and side body. This morning flow class focuses on a connection to the natural elements. It is an awakening yoga practice with some qigong. The ancient yogis, Buddhists and Daoist sages believed that we are made of the elements of the natural world. This practice will help us awaken to this connection within ourselves to the elemental world around us. It’s very much like a shorter version of my morning practices, integrating yoga and qigong into mindful movements that help me harmonise my inner body with the outer world. This has a bit of everything – abdominals, hip work, backbends, twists, forward folds and arm balances. Enjoy! A more gently paced vinyasa flow, more suitable for beginners to Vinyasa, but with plenty of very challenging alternatives, as the practice builds up. This class focuses on a fluid movement on the breath - honouring the rhythm of your body, inviting the breath to cary you through. Enjoy this beautifully paced class. Yoga and QiGong for kindling the inner fire. Movement and circulation for warming the body in the cooler months. With Sun Salutations and twists for firing the spirit up. This class will do the trick for any time you feel like you need a little extra fire in your life and is perfect for morning time. 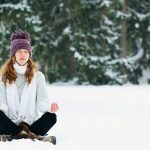 The second part of Yoga and Qigong for warming the spirit. This is to warm your internal sun, the heart, to bring warmth to the heart, bringing sun salutes, Qigong, dancing warrior and backbends to cultivate energy. 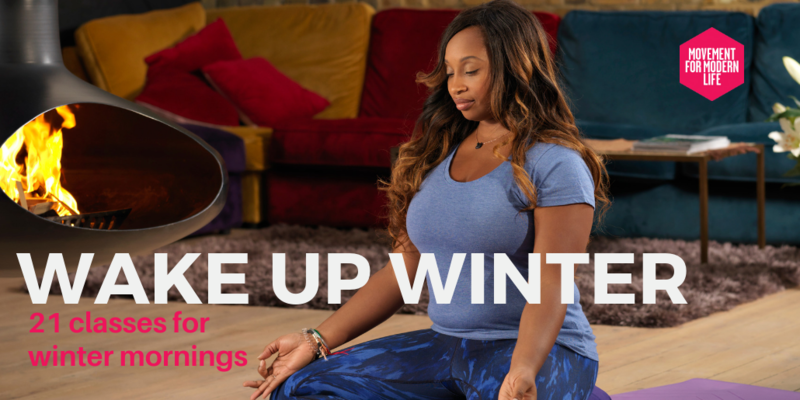 Perfect for winter mornings, this yoga class will give you that gentle pick me up. Give your immune system a boost at this time of year with this lovely gentle yoga class. Ideal if you feel you're coming down with a cold or to stave off colds when you're feeling a little run down. Mimi explains how yoga can be really therapeutic. Try this class and let the yoga do its magic. The second part of the immune boost from Mimi. This class picks up the pace from the first class. This yoga class uses a more invigorating vinyasa sequence to focus on improving circulation which in turn boosts white cells in the body, to help fight off colds. The third part of the immune series focuses upon internal cleansing. This class uses gentle movements, breath practices (pranayama), some QiGong as well as twists in order to give the body a deep cleanse. This class truly takes yoga as a purification practice to it's full meaning. Start your day in the right way with this simple, down to earth vinyasa flow yoga class. Gentle yogic stretching and strengthening exercises open your body and mind for the day. Start your day with energy and focus with this all-around flow practice. This all-round yoga class includes a bit of everything everything (including sun salutations, half-moon, and crow postures) and focus on generating positive intention through breath. For all levels. Awaken your energy at any time in the day with this qi-gong practice. Perfect for starting the day, but also as an energy boost during a mid-morning slump is just perfect. This class uses various energy techniques and can be done on a chair as well as on a mat, so is perfect for all levels and physicalities. Wake up your qi with this short practice using qigong, yoga, breath-work and various energy techniques to give your energy a big boost. Remember to use the power of intention in this class, and in life! Keep a chair handy. A short morning flow to sharpen the focus and get the body moving. Using energising breath-work techniques to invigorate the body and vinyasa flow to brighten the body and mind for the day ahead. You might need a foam block or brick. A practice to invigorate, stimulate and awaken. An uplifting and energising practice for when you are feeling drowsy or after a restless nights sleep. This morning yoga and qigong class is focused on circular, smooth movements through the body and joints to set you up for the day. With some beautifully awakening qigong forms such as variations of swimming dragon followed by active sun salute variations and fluid movements through standing poses. Enjoy waking up all your senses in this awakening flow! A perfect practice to start your day with. To put a spring in your step and brightness into the body. Great for days when you're feeling sluggish and need a kick start to your day in a gentle way. This class ends with a lovely long savasana so you're rested and ready for the day. Get ready to meet the day with this wonderful meditation and inner visualisation. Fill every atom of your being with the quality of the morning sun, allowing you to lift your emotions to the highest level and fully embrace your day. Thanks to Flow Tunbridge Wells for providing this beautiful location for filming.